Have you ever had a craving that drove you insane? You know the one. No matter what you eat, what you drink, if you don't get it you will never be satisfied. Well, that was me the other day. 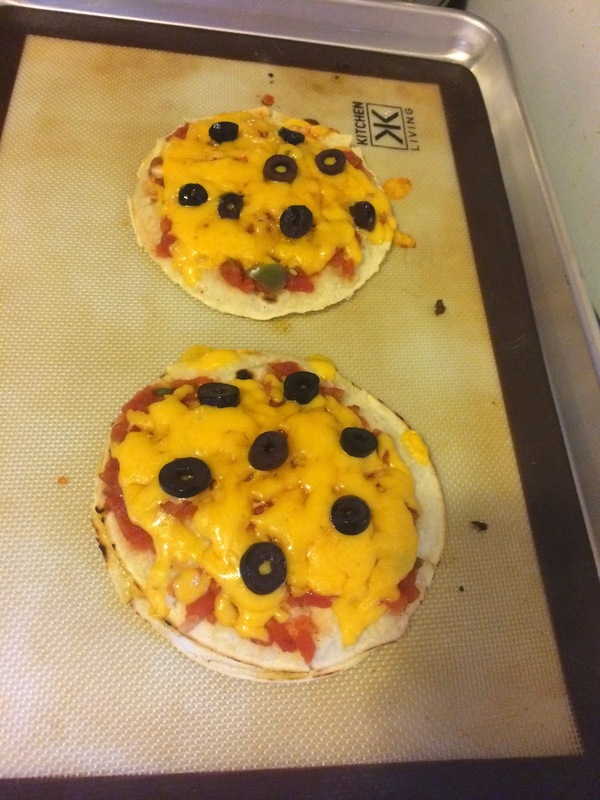 I REALLY wanted a Mexican Pizza from that very popular fast food chain. I mean REALLY wanted it. The problem was that I was broke. Yep, we are at the end of the month and I have just enough in the good ol' grocery envelope to get me through. BUT I REALLY WANTED IT! So that is when I decided to get creative. I went to my fridge and pantry, grabbed a few simple ingredients, and made my own. You know what? They were DELICIOUS! So, without further delay, let me show you how I made them. You won't believe how easy it was! Before we start putting together our pizzas we will need to preheat the oven to 350 degrees. Simply cook until the shell begins to char a little. When you are finished wrap them a clean dish towel to keep them warm. After you have browned the tortillas, add a little vegetable oil to the pan and the ground beef. Cook until the meat is brown and no longer pink. 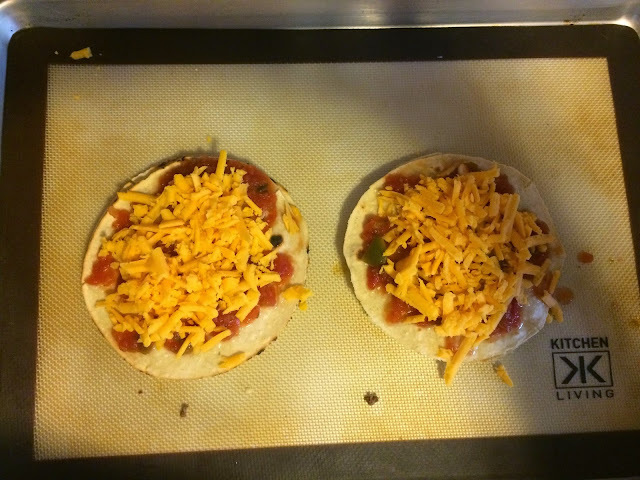 Once the meat is browned, add the taco seasoning. Then add a little salt. I didn't add any pepper because there is quite a bit of spice in the taco seasoning. Add a half cup of water. Let the sauce simmer and thicken, 3-5 minutes. The taco meat is ready. Now for the fun part, putting the pizzas together! Add the tortilla shells on the baking sheet. Next sprinkle with a little cheese. Add a couple tablespoons of meat on top of each tortilla. Now place the second tortilla on top of the meat. Add a little salsa on top. I topped my pizza with a little sour cream, fresh parsley, green onion, and black olives. Brown the tortilla shells in a dry (no oil) skillet until they are slightly charred. Wrap browned tortillas in a clean dish towel to stay warm. Add a little vegetable oil and ground beef to the skillet. Cook until the meat is brown and there is no pink. Add the taco seasoning, salt, and water to the skillet. Let simmer for a couple of minutes until the sauce thickens. 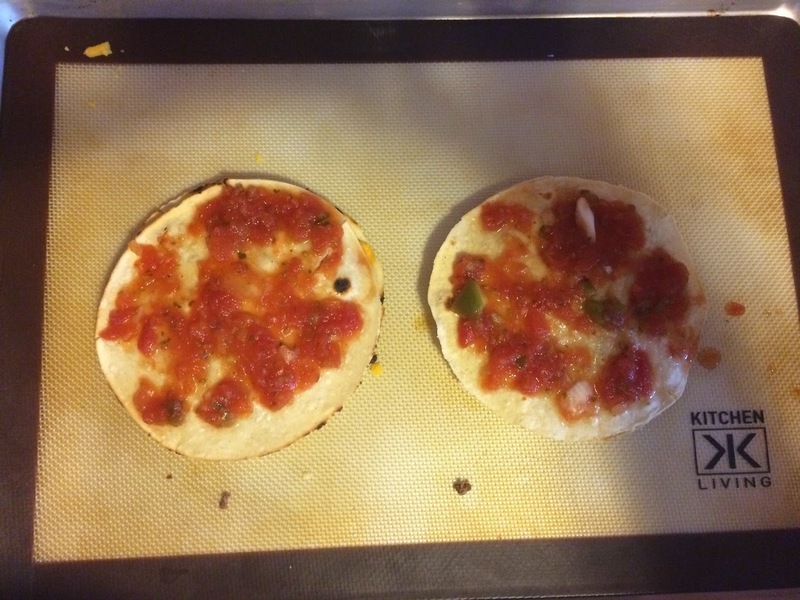 To assemble the pizzas place the first tortilla on the baking sheet. Add a couple tablespoons of taco meat. 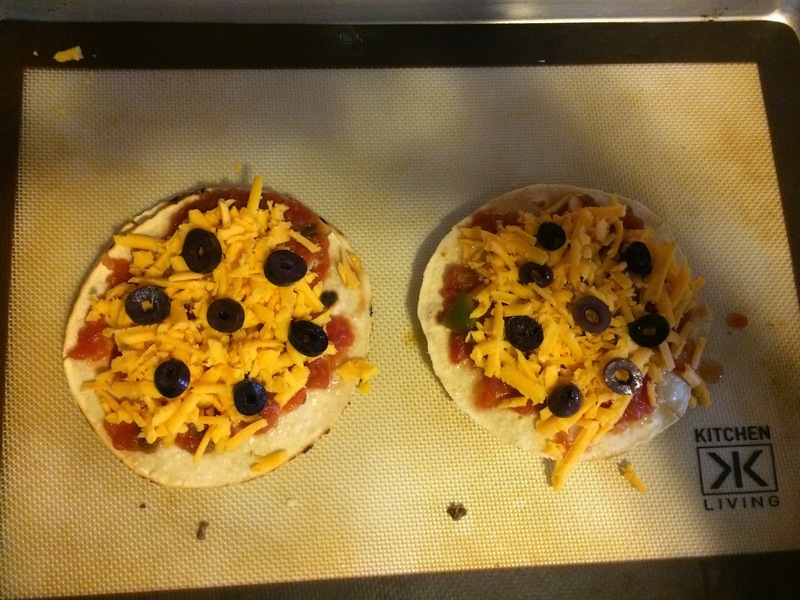 Add a few black olives. 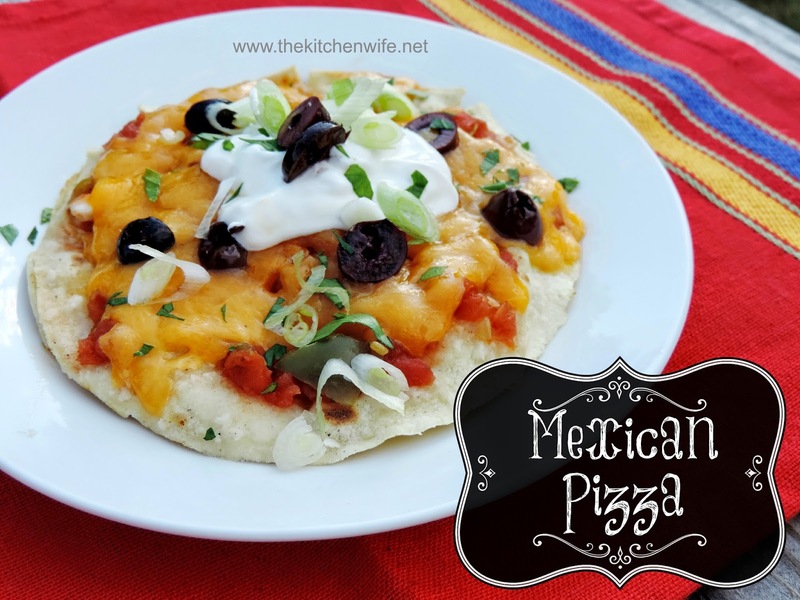 Top with a little sour cream, green onions, fresh parsley, and black olives.